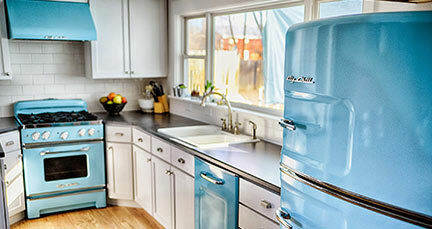 Introducing the Classic Fridge, our most anticipated new product. 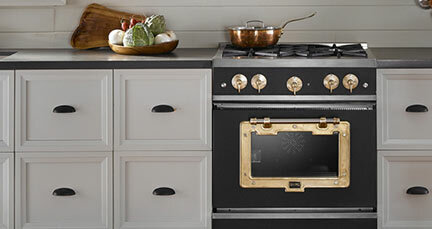 The Classic Fridge is the epitome of industrial chic and the perfect complement to any elegant kitchen. The Classic Fridge has 22.3 cubic feet capacity, an internal water dispenser and ice maker, and stunning interior LED lighting. 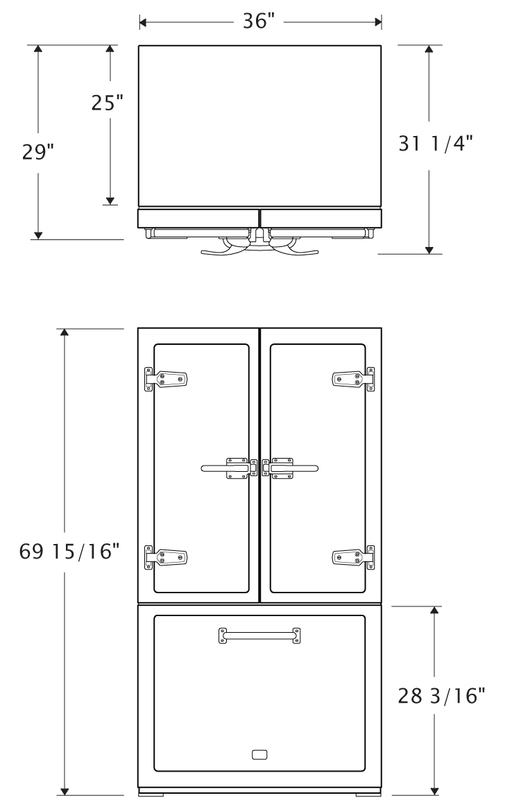 This Energy Star fridge is designed, assembled and shipped from our US factories. Available in 5 standard colors and 4 trim options including brass, copper, chrome and nickel. 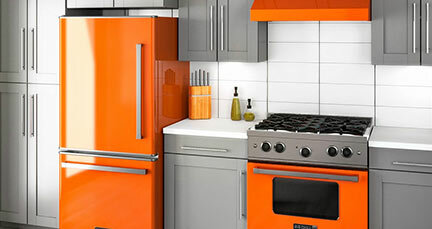 The Classic Fridge is also available in over 200 custom color options to make the ultimate kitchen statement. Side Clearance for door to open4 1/2"
WarrantyOne Year Parts & Labor.